Each year an integral component to the Auburn Heights Invitational Historic Auto Display is the Silent Auction & Raffle. We gather an interesting array of items that we hope visitors will enjoy, with all proceeds benefiting the Joseph Boxler Education Fund, which supports children’s educational programs at the Marshall Steam Museum. Enjoy the preview below. Proxy submissions have ended — but come see us at the event to get in on the action! And check out our great Silent Auction below. Learn from Steam Team member Lou Mandich how to drive this quintessential American auto. Must be 25 years old and hold a current valid driver’s license — and not too tall! Yes, height matters because Ford designed his earliest autos for the “average” American, which includes a tight driver’s area. Unsure if you’ll fit comfortably? 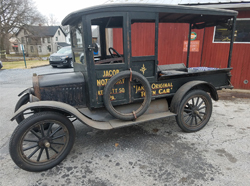 This antique truck (the training vehicle) will be the Photo Op car at the Invitational, so you can climb aboard and see for yourself. Lesson is for one (there are only two seats — for the driver and his trainer) and will include watching a video in advance, lessons in a private lot and then on-the-road experience once the trainee has mastered the basics. Check this one off your bucket list now! Enjoy a 4-bedroom 2-bath, fully equipped house, just 4 blocks from the ocean and within walking distance of all activities in Fenwick Island, Delaware. Stay up to one week in October 2018 or June 2019. Amenities include: Central AC, gas grill, all appliances, cable TV and DVD, 6 twin beds, one queen. 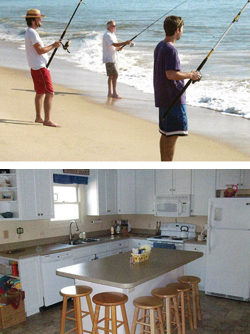 Beach chairs included, along with boogie boards, skim boards and other sand toys. Brighten your day with this beautiful bouquet, painted by Dorothy Boxler and custom framed. Size: 8″x10″. 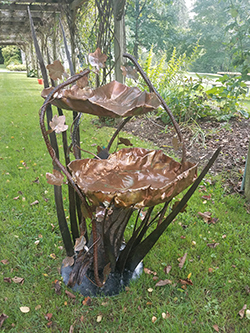 This electric fountain made of copper, steel and wood is a one-of-a-kind work of art by a true renaissance man, Dan Boxler. Having achieved accolades as the master butcher and owner of Country Butcher in Kennett Square, he began expressing his artistic side with welding, crafting amazing metalwork using found items and natural components. This amazing fountain is now in search of the perfect garden setting… will it be yours? This basket contains too many tasty items to list PLUS a $50 gift certificate to the Country Butcher Fine Foods Market in Kennett Square. No one will go hungry! Enjoy some of the best of what Country Butcher has to offer with this whole beef tenderloin package. 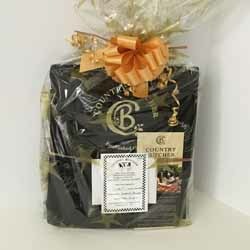 Includes a certificate for a whole beef tenderloin from Country Butcher, plus a signature cutting board & steak seasoning. Each year Steam Team member John Bacino amazes us with his handcrafted turned bowls. This “Spalted Beech” bowl is made from the Copper Beech that once graced the front lawn of Auburn Heights. It is finished to be food-safe and measures approx. 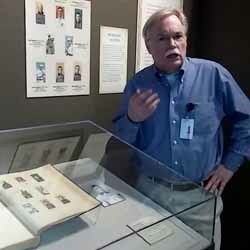 4″ high and 10.5″ in diameter. Gregory Landrey, Winterthur’s director of academic affairs, will take the winner (and up to three friends) through a behind-the-scenes tour (90-120 minutes) of Winterthur, including the conservation facility, the museum rooms and hidden portions of the this extraordinary country house. This framed print from renowned Delaware artist Larry S. Anderson features the Wilmington & Western Railroad in a snowy Christmas landscape. Professionally framed, measuring 25″ x 32″ and no longer available so get this one while you can! Rare commemorative print following the renovation of the Wilmington Train Station, the last railroad masterpiece by famed architect Frank Furness, one of the most prolific railroad architects of the 19th century. Built in 1907, the renovation/restoration in 1983-84 was celebrated with this limited edition print. Beautifully framed. Let FAHP wine & dine you. 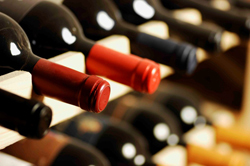 Okay, the dining part is on you, but members of the Board of Directors have donated a case of their favorite selections for you to enjoy! Canada Goose decoy by David C. Berari (carving wildlife since 1983) and Canvasback Duck decoy by Ed Green, whose work has sold at major decoy auctions. Both carved and painted with amazing attention to detail. 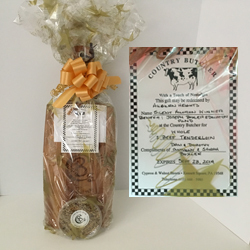 Fill the included market bag with plenty of tasty goodies using the $50 gift certificate from the Country Butcher in Kennett Square. 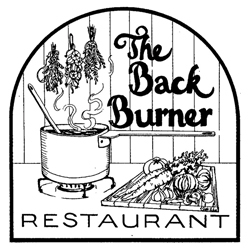 Enjoy a lovely (and delicious) dinner at the Back Burner, named a Best of Delaware restaurant by Delaware Today!